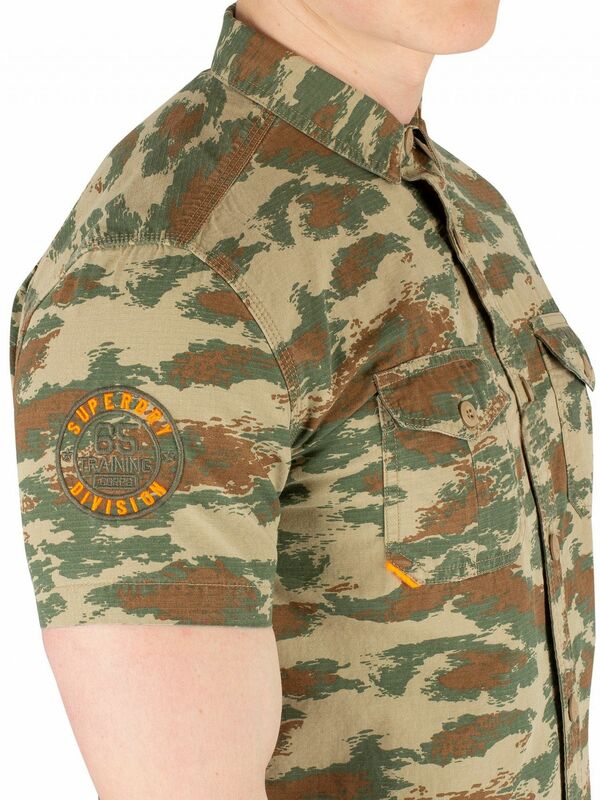 The Rookie Parachute Lite Shortsleeved Shirt from Superdry comes with short sleeves and a curved hem, featuring buttoned chest pockets with embroidered logo on one. 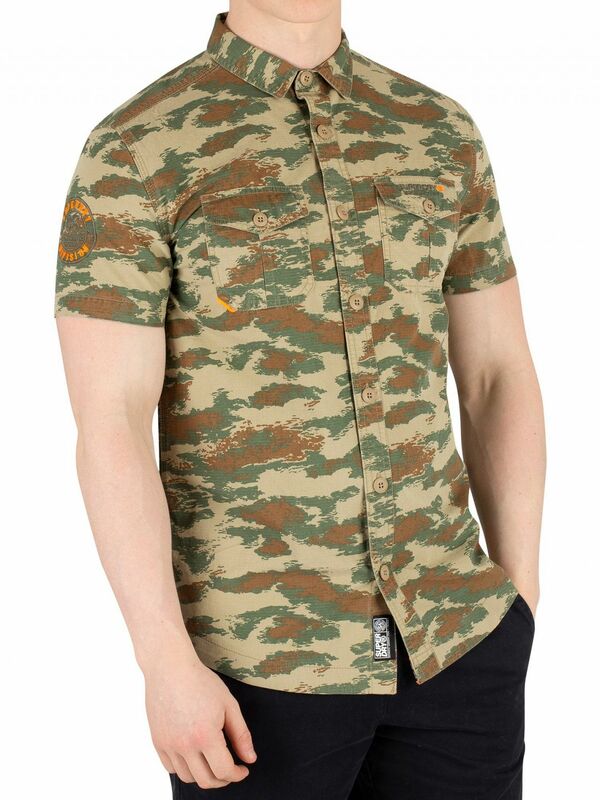 Featuring an embroidered branded graphic on right sleeve, this regular fit shirt features branded inside of hem. 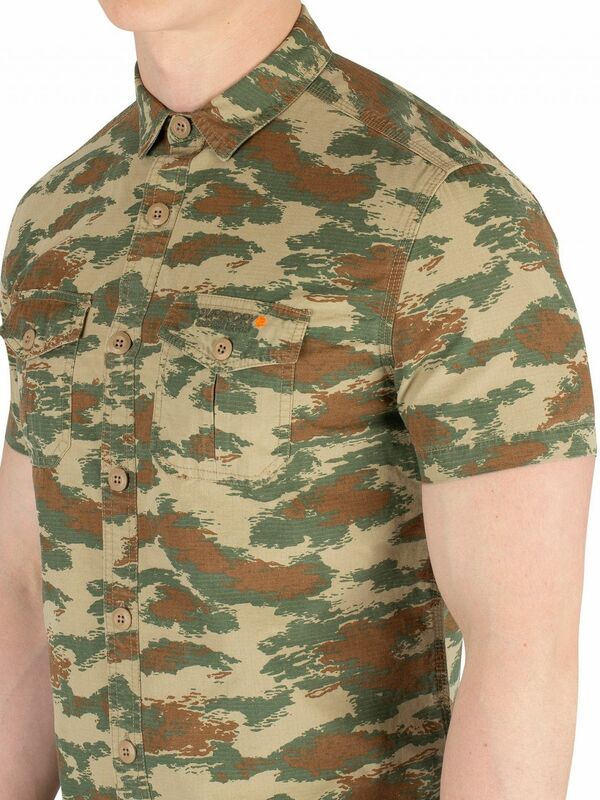 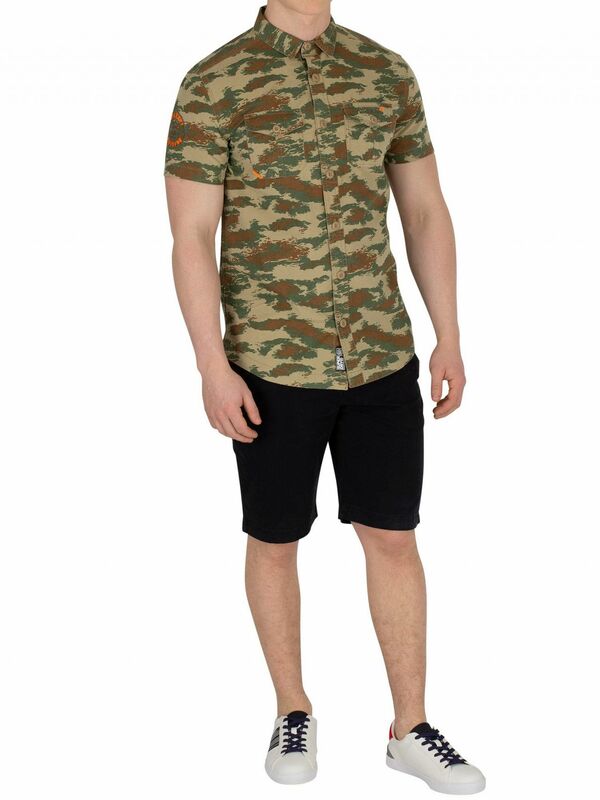 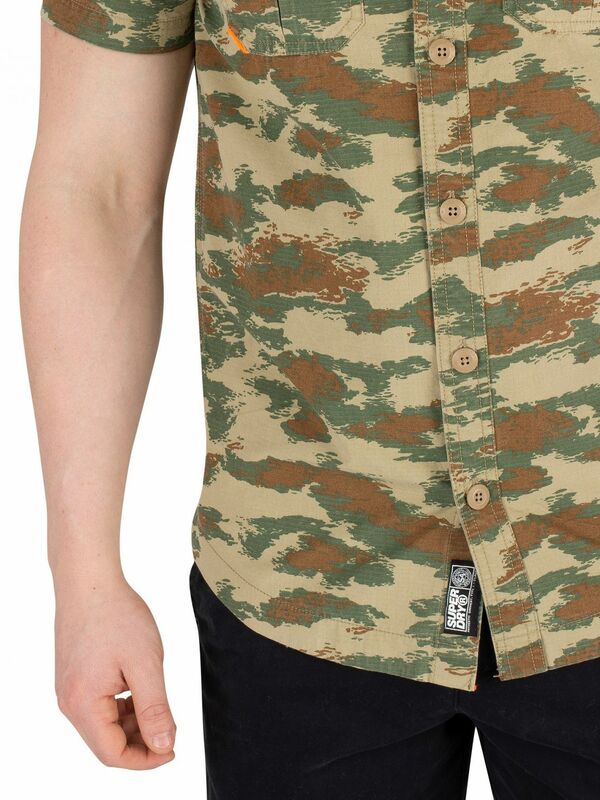 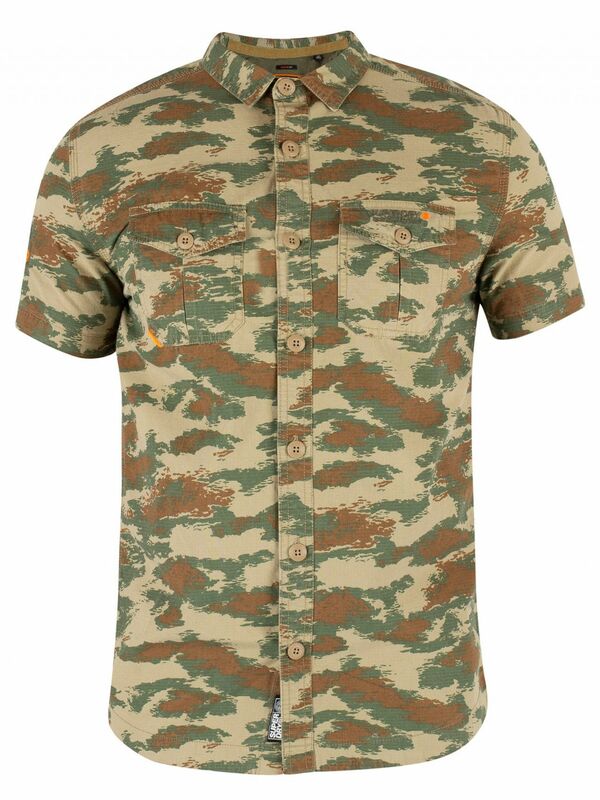 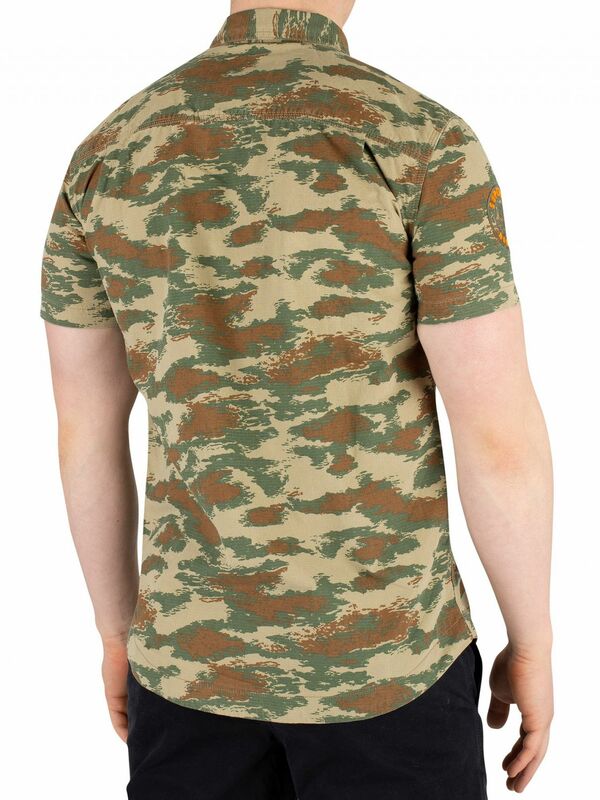 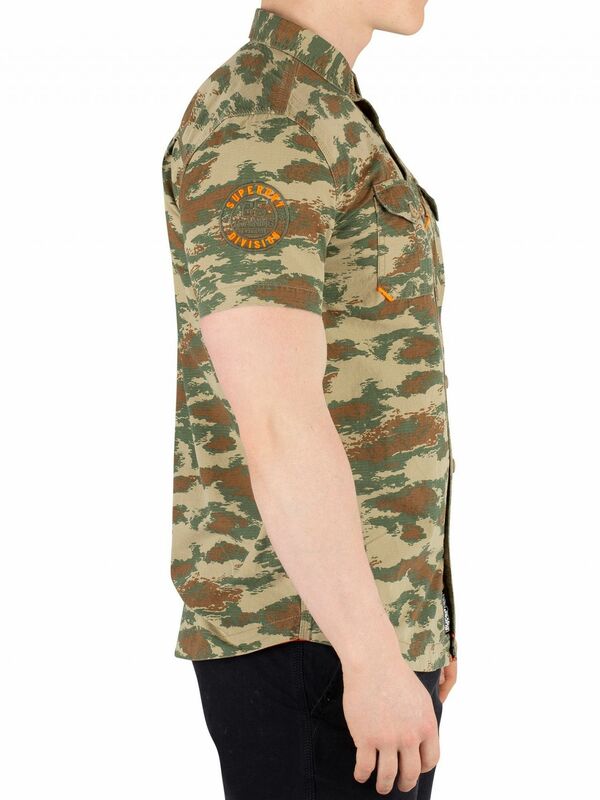 Coming in Dispersal Green Camo colour, this shirt for men sports a spread collar and button closure with branded buttons.